Do you get the right amount of sleep every day? The answer is way more important than you think. Sleep is a crucial part of all our lives. It is very important for our health. Sleeping allows our body and brain to repair themselves. It will help you to get ready for the challenges ahead of you. Through this, your brain goes through all the daily memories and deletes the ones that are not so important for you. This will allow your brain to store new information’s. Therefore, it is recommended to get a good sleep, if you won’t have a good sleep your brain won’t be able to store new information’s. If you don’t get the proper sleep it will affect all the organs in our body. How Does Sleep Deprivation Ruin Your Health? If you don’t get a proper sleep it can destroy our immune system. This will result from you with a much bigger risk of various ailments including diabetes and heart disease. Not getting proper sleep can have a negative effect on our central nervous system. You can also get the risk of anxiety, paranoia, depression and impulsive behavior. Sleep deprivation has been linked to slow digestion, insulin spikes, and weight gain. This means that it can significantly increase the risk of diabetes and excess belly fat. You can lead to colds, the flu and even in chronic lung ailments by sleep deprivation. The main factor between heart disease, heart attack, and stroke is that you don’t get the right amount of sleep. If you sleep less than the recommended hours you will get the risk of hormonal imbalance, which can have unforeseen consequences in children and teenagers. According to the National Sleep Foundation, it has given some sleep guild lines which depend on age. It has normally said that you should get 8 hours sleep, but depending on age this can change. 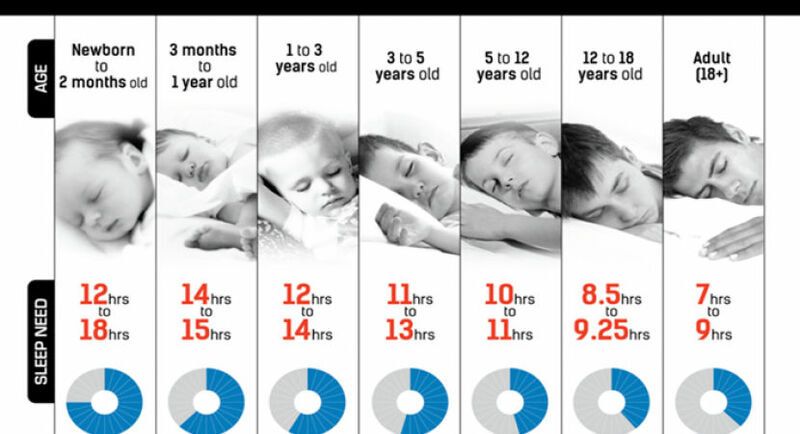 Normally babies and infants should be getting a sleep more than 8 hours because they are still developing. Can We Catch Up on Lost Sleep? Of course, you are able to get the lost sleep hours, which can be also said as “replacing”. And for sure this can’t happen over the course of one night. It can take you days and weeks if you haven’t been sleeping well for hours. It is better if you can catch up by getting an hour or two more on weekends, then increase the duration day by day. You must never consume coffee or any kind of energy drink to stay awake. It is true that it boosts concentration and instantly raise your energy levels, but it will eventually disrupt your sleep pattern over time and cause even bigger problems. This article and its content are copyright protected. Please do not republish without receiving prior consent from the author. Thank you. Previous articleDo Not Get into a Relationship Until You Meet a Man with These 13 Qualities!